Target activates when hit at 2,000 F.P.S. 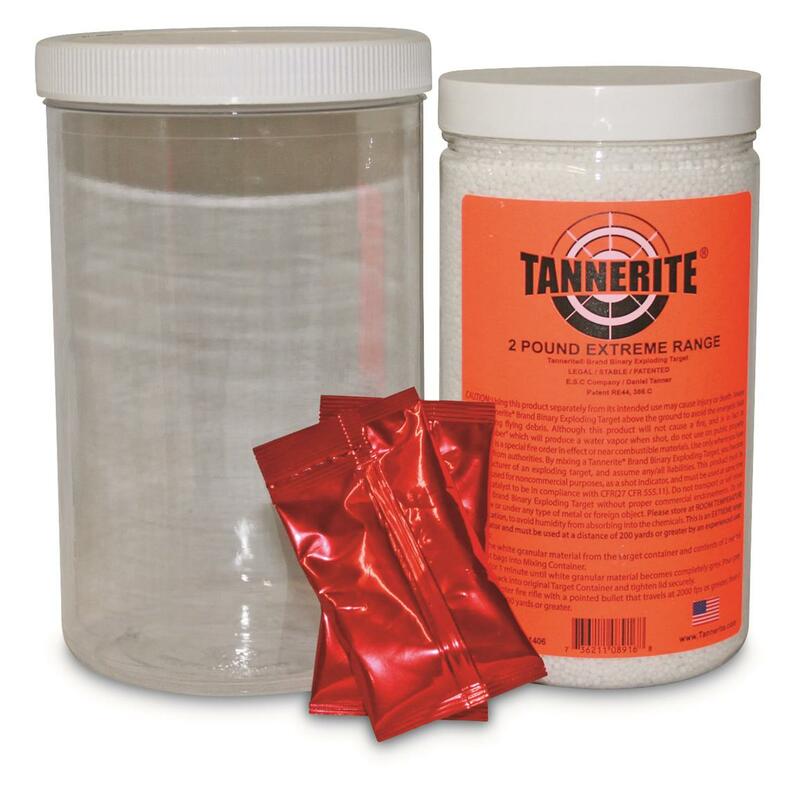 Two whole pounds of Tannerite®, a mega-ton of fun that'll let you know with 100% certainty that you hit the target! 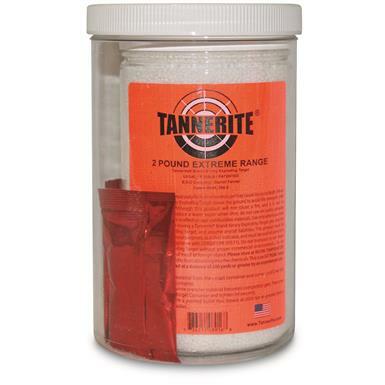 Made for centerfire rifles at extreme ranges, the Target won't activate unless hit at 2,000 FPS. 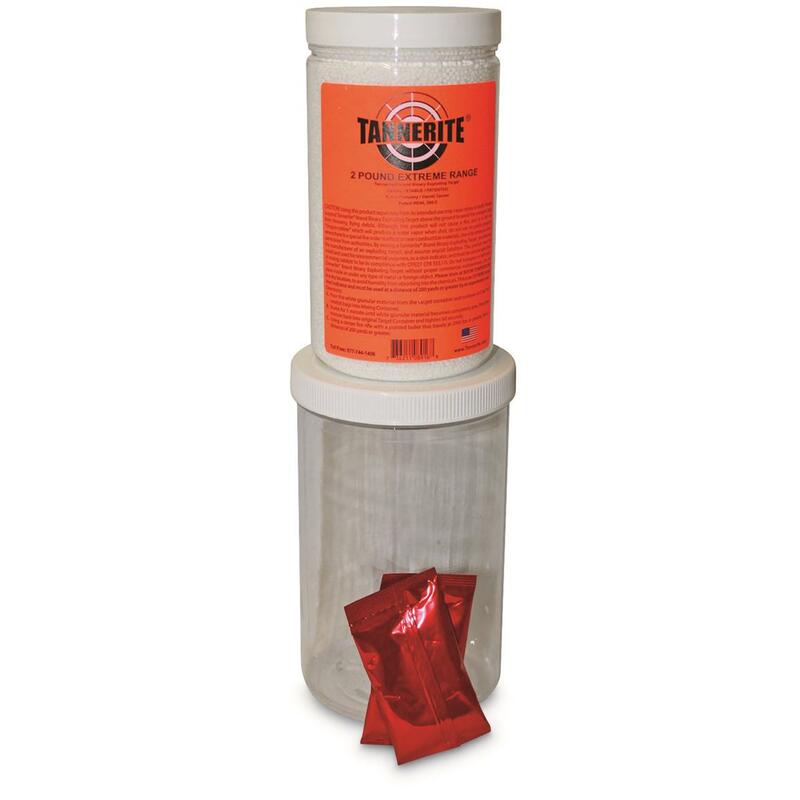 You'll receive the catalyst pack and a mixing container to combine the compounds. Simply mix it up and put it in the clear jar with the blaze orange label. Once you have positioned your target, take the shot. Tannerite Single Exploding Extreme Range Target is rated 4.0 out of 5 by 1. Rated 4 out of 5 by Bunky from Great Price I have yet to set a 2 pounder off, but always enjoyed the smaller ones.Can't wait to try it. Easily see hits down range. Build your own shooting range.